Posted on February 2, 2019 by Arushi S.
Recently, I saw the new remake of The Grinch, starring Benedict Cumberbatch. Now, I have to admit that Cumberbatch was one of the main reasons I decided to see the movie since I have been a big fan of his for some time, but I was also curious to see what the movie industry has managed to come up with since the iconic Jim Carrey version. I was not in the least bit let down. This remake was, I daresay, a cinematic masterpiece. Not to be dramatic, but every aspect of it went beyond my expectations. It was funny, emotional, and the Grinch himself was ridiculously relatable. I’m going to do my best to keep this review devoid of spoilers, but I can’t make any promises. I’m not usually a fan of themed stories, but Dr. Suess’ works lit up my childhood, and The Grinch has always been one of my favorites. First of all, I adored the advertising for this movie. The producers’ slogans were aimed directly at millennials and Generation Z. Now, I am part of the infamous “Gen Z,” so I found all the publicity absolutely hilarious, and have been drawn to the movie because of it. Furthermore, the movie itself enraptured me. Some of my favorite bits were (SPOILER ALERT!!) Cindy Lou Who loyal group of friends, Frank the reindeer’s adorable family, and the Grinch’s Christmas gift for his dog, Max. Also, I really appreciated how there was a narration throughout the movie, and that it was made up of lines from the original book by Dr. Suess, How The Grinch Stole Christmas. 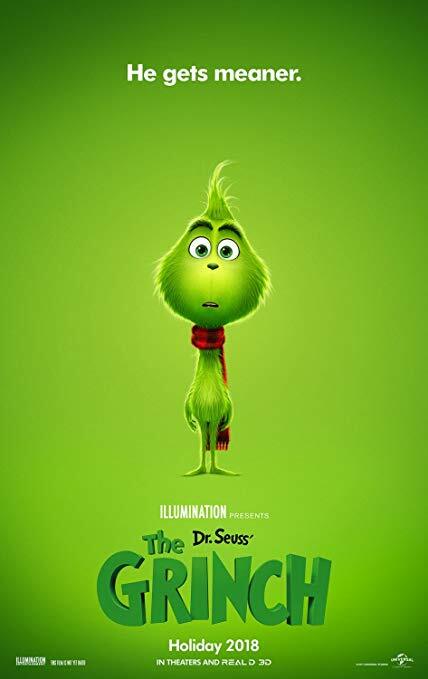 Overall, this remake of The Grinch was, in my opinion, absolutely fantastic, from the advertising to the little details within the movie itself. Posted on January 7, 2019 by Ava G.
The Lord Of The Rings series is just beautifully written By J.R.R. Tolkien. The Fellowship of the Ring is the first book in the series. Personally, I enjoyed both the book and the movie. 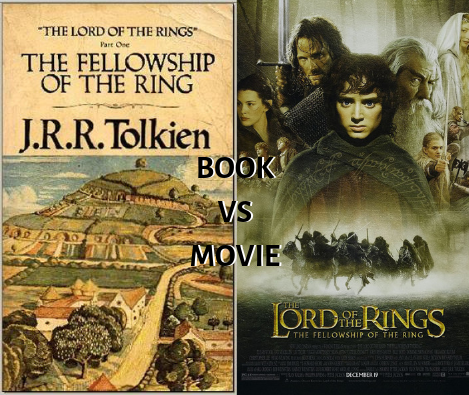 They both totally immerse you in the world of Middle Earth, bringing you into the immense fantasy world the J.R.R. Tolkien has created. Giving you an escape from the real world, where you can, just for a couple of hours, live in the world of the Shire and Mordor with hobbits, dwarves, goblins, wizards, elves, and the all seeing eye. It is all a creative adventure that keeps you on your toes the entire time, wondering what is going to happen next. As always, the book is better than the movie. It just goes more in-depth into the lore and the story. It has more characters and just more detail than what can be explained in the movie. The book tells the story of the adventure of Frodo Baggins, who has come into possession of the One ring, an extremely powerful ringed forged for the Dark Lord who, after thousands of years of submission has yet again started to rise. 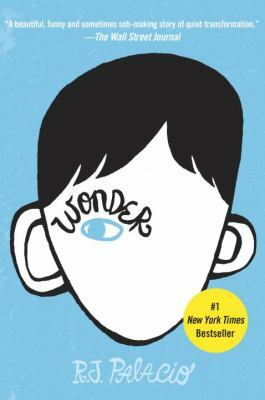 It is not an easy book to read and requires a lot of attention and comprehension, which is what makes it so easy to get lost in the book and forget about the real world. The movie, however, is still very good. Unlike other books made into movies, the Fellowship of the Ring movie still follows the original story line, just cutting out some of the smaller details. It of course, is not as good as the book but it still is a great movie. Also, the soundtrack of this movie is amazing. It is one of my favorite movie soundtracks and it just help makes the movie great. 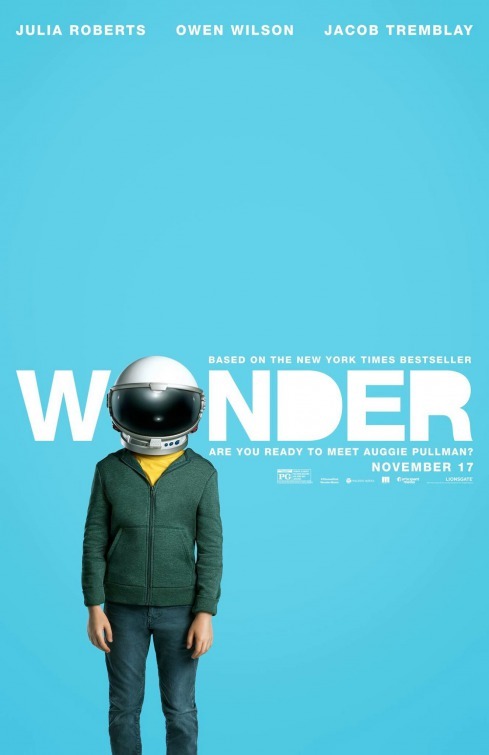 Overall, both the book and the movie are great. I would totally suggest both of them to anyone though, reading the book before watching the movie will probably help give you the full picture of the realm that J.R.R. Tolkien created. 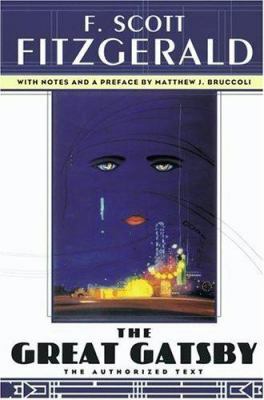 Both the novel and film are available for checkout from the Mission Viejo Library. Posted on December 4, 2018 by Sophia D.
As many of you know, Ready Player One has been out for quite some while. Most people who wanted to see it have. But did you know (because I certainly didn’t until it was gifted to me) that Ready Player One was a book as well? If you did know that, points to you. If not, then go to the library, go check out the book, and read it. It’s very good, in my opinion. Then, come back, and finish reading this. I hope you’ll find it interesting. The premise of Ready Player One is interesting. There is a high school aged boy, Wade, who lives in the future, 2045 to be precise. The world is in pretty awful condition, and everyone knows it. It’s dirty, global warming is through the roof, and the population is skyrocketing. The only place you can escape, is the OASIS. The OASIS is a high tech virtual reality system, created by James Halliday. As a child, James Halliday was not exactly a social butterfly. He disliked interacting with other kids, preferring the eccentric adventures of video games over playing outside. James Halliday grew up to become an advanced programmer, eventually creating the OASIS, a place where he could escape from the world and live as a part of the video games he loved. When Halliday dies (which is inevitable), he creates, basically, an Easter Egg hunt. If you won this hunt, which happens if you complete the clues and series of tasks first, you would inherit Halliday’s large fortune, and control the OASIS. There are three keys that you must find (the Copper Key, the Jade Key, and the Crystal Key), which then unlock three gateways (simply called the First, Second, and Third Gates). This is the picture of the both the movie and the book. This does not change. However, the characters, Gates, and Keys are very different. In the book, it is clearly stated that the Avatars in the OASIS are lifelike, at least for the main characters: Parzival, Art3mis, Aech, Daito, and Shoto. It says that you can hook up your system to recognize your facial features, and transfer them onto your avatar. Art3mis is said to have used that program. But, in the movie, Art3mis (the Avatar) is portrayed as a pinkish red alien girl with short cropped red and black hair. Aech is shown as a larger-than-life ogre, when in the books, he is described as a tall, blonde, Caucasian man. When attempting to obtain Keys and pass through Gates, you must complete a task. This is true for both the hook and the movie. But, the tasks in the movie and in the book are drastically different. For example, to earn the Copper Key, in the book, you must enter the Tomb of Horrors (from a Dungeons and Dragons adventure module), then compete against Acererak the Demi-Lich in a game of Joust (a game in which two players competed to pass levels. You played as a knight riding on a flying ostrich, trying to defeat waves of buzzards). In the movie, the key is obtained by participating in a dangerous race through New York City to Central Park. The difference is huge, as everyone know how to get the Copper Key in the movie, yet couldnt get past the obstacles. But in the book, no one knew about the Tomb of Horrors, other then Parzival and Art3mis. This is just one example of how different the Key tasks were, the other Keys (the Jade Key and the Crystal Key) also varied between the movie and the book. The Gates, which you opened once you achieved the Key, were also drastically different. The one other thing that’s bothered me in the difference between the movie and the book, is the moment when Parzival and Art3mis meet in real life. Meeting in real life is tricky for OASIS players. You don’t know what the person looks like behind the avatar, and it could be potentially dangerous (just like in real life. Never go to meet someone you met online without a parent/guardian/adult). So, when Parzival and Art3mis met in real life, it was a big deal (especially because Parzival had a LARGE crush on her). The difference between the meetings in the book and movie is huge. I was quite disappointed with the meeting in the movie, it wasn’t as heartfelt, or as dramatic as it appeared in the book. 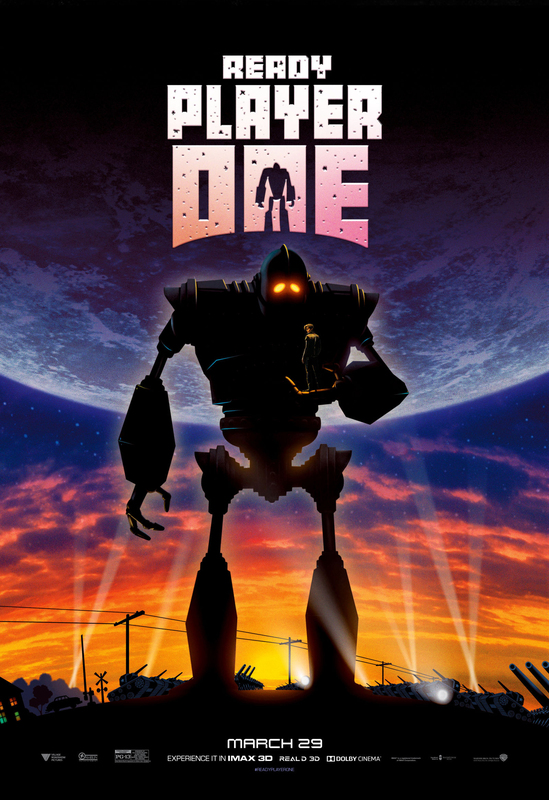 When I went to watch Ready Player One in theaters, I expected something completely different. Although it was the same storyline, I was a bit disappointed they didn’t stick with the original tasks, characters, avatars, etc. But, I did enjoy the movie, and I thought it was worthwhile to go watch. But, you are interested in the movie, and haven’t read the book, go do so. You will NOT regret it. Ready Player One, both film and the book, are available for checkout from the Mission Viejo Library. Posted on October 7, 2018 by Ava G.
Crazy Rich Asians, the movie everybody is obsessed with. And yes, it was nice to see a lot of diversity in a movie but, as a Romantic Comedy goes, it did not really have that many jokes. And the story line was just like every other Romantic movie that has every been made. 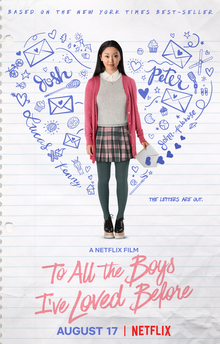 Though, Constance Wu is a great actor and I was really excited to see her in something other than Fresh Off the Boat, I was just kind of expecting more. As someone who is Asian, I could definitely appreciate the jokes that was in the movie because, most of them were pretty relatable. But, in my opinion there could have been more jokes. Because, even though it was labeled a Rom Com I feel like it was mostly just a romantic movie with a little bit of comedy sprinkled in. Which, was not the way it was advertised or talked about. From they way people talked about it, I was expected it to be super funny and I had really high expectations which where not met. 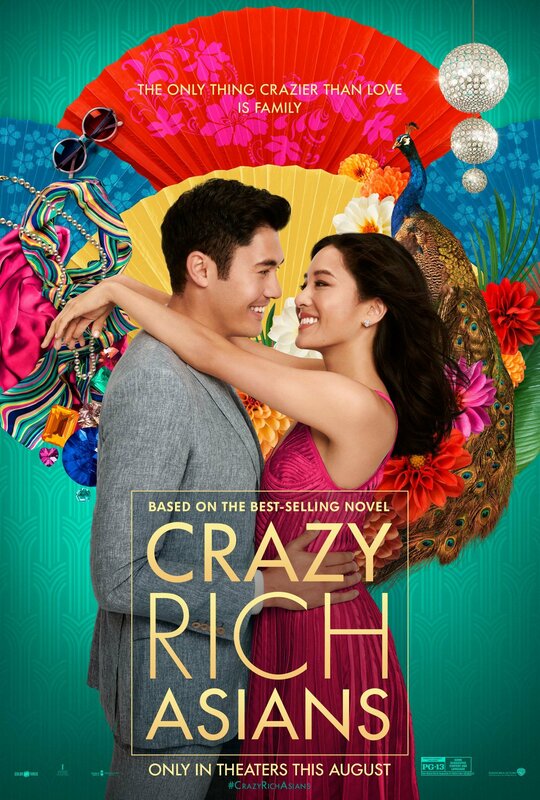 Overall, the story line was about a New York economics professor Rachel Chu who falls in love with Nick Young who is part of a super rich family for Singapore. Nick brings Rachel to Singapore to meet his family who does not approve of her. But, eventually she gets their approval and Nick proposes to her. This follows the typical Romantic movie formula and as someone who doesn’t really care for Romantic movies to begin with it kind of bored me. Though, I might have not liked it because it is not really a style of movie that I care for. But, if you are someone who is into Romantic Movies, it is probably a great movie for you to watch. And it is still slightly funny, especially if you can get the jokes. So if you’re looking for a Romantic Movie to watch I would watch this one but, just don’t expect it to be that different from any other romantic movie.